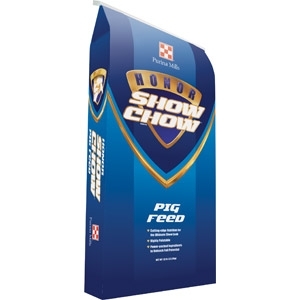 Honor® Show Chow®Powerfill® is high in protein, fat and amino acids from the highest quality protein sources for improved body condition. No more mixing topdresses, feed, fat, and other feed ingredients...EVERYTHING is in the bag! Click here for guaranteed analysis and more information.